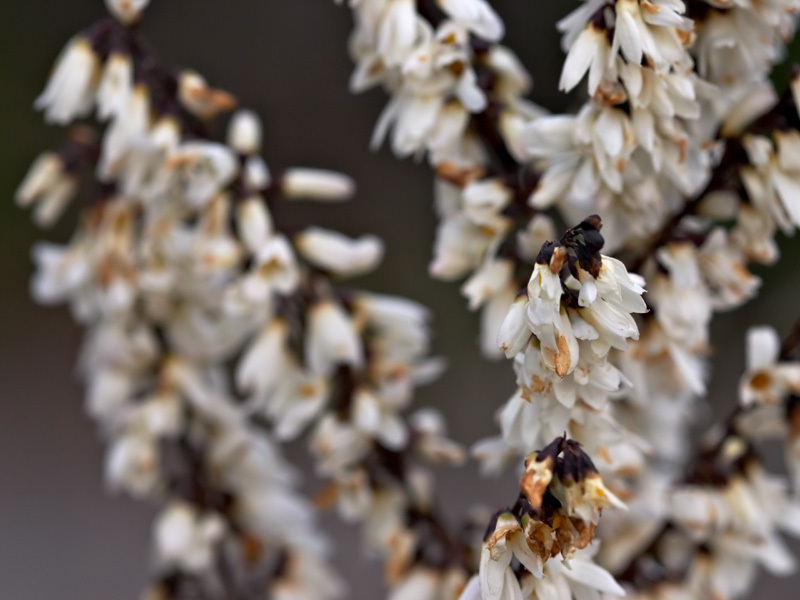 Depending on your perspective, Abeliophyllum distichum is either a rarity or fairly common. 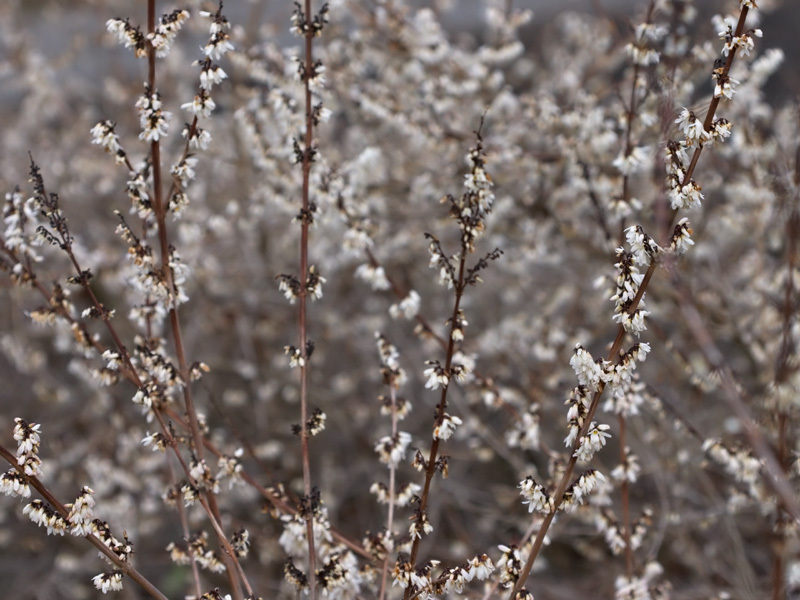 If you are familiar with the plant from a horticultural or gardening background, white forsythia is used ornamentally for its spray of white flowers in late winter / early spring (Paghat has a good gardening write-up for white forsythia). However, from a scientific perspective, Abeliophyllum distichum is rare indeed. Restricted to seven known sites in Korea, its future is tenuous. Yong Shik Kim and Mike Maunder have written an excellent account of the species and its history. Botany / art resource link: If you’ve some spare time this weekend, you could do worse than spending it on the Rare Books from the Missouri Botanical Garden Library. Also, it’s the first time I’ve seen a garden other than UBC use some of the web-based services or tools available. They’ve been using del.icio.us to tag the illustrations for annotation and filtering. Oddly enough, I had the same idea for BPotD yesterday after seeing a demo of a soon-to-be-released service while at Northern Voice. I’ll add a reminder that I currently use del.icio.us to keep track of all the BPotD resource links. I’m very pleased with the appearance of this plant. I was recently accepted into university, and the password they assigned to me for the school website was “abeliophyllum distichum.” Curious, I looked it up, and the wonder and beauty of this plant matches the majesty of a life-long educational experience.